A digital audio format converter for interfacing MADI and Dante streams. Netbridge MADI is fully bidirectional, and can thus simultaneously convert 128 audio channels from MADI to Dante and vice versa. Netbridge UHD converts the 64 channels in a quad UHD SDI programme source, or the 16 channels in each of four independent SD/HD/3G SDI sources to Dante and MADI. Matrix routing of inputs in all three formats is available through a web browser interface. Netbridge MADI is a simple MADI/Dante format converter for up to 128 channels of audio. It comprises two independent, bidirectional 64-channel converters, and can thus be used to convert two 64-channel MADI streams into 128 channels in Dante format, and simultaneously, 128 audio channels in Dante format into two 64-channel MADI streams. It is ideal for interfacing multichannel audio with a digital mixing console, multitrack recorder or other audio processing equipment whose native format differs from the prevailing infrastructure. Channel routing is fixed at 1:1, so channel numbering is always maintained across the two audio formats. Because of the dual 64-channel architecture, Netbridge MADI can be used to generate 64-channel signal splits in the “other” format, for redundancy or recording purposes. It also allows two completely independent 64-channel streams to be converted between formats, bidirectionally if necessary. The MADI interface is in the form of four BNC connectors, and is AES10 compliant. The Dante interface is in the form of two RJ45 Ethernet connectors, and may be configured as AES67 compliant. 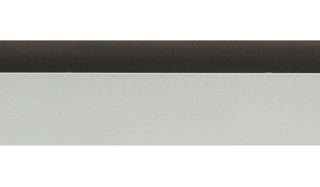 Netbridge MADI is built in a 1U 19” rackmounting housing; dual redundant internal PSUs with separate IEC connectors and power switches are fitted.